The Capital exclusive Gifts now available to purchase securely online. Personalise a gift voucher, add a message, preview and send it instantly by eMail or SMS Text. If you prefer, we can print the voucher and send to the recipient in a gift card. You can buy a monetary voucher to be used throughout the hotel and restaurant. Please note the minimum value is £20, with incremental increases of £10 e.g. your value amount could be £20, £30, £40 etc. Believed to be the only bar in London offering whisky and cheese pairing this is a truly unique experience. Join The Capital’s expert team in the intimate bar as they match three whiskies with a selection of cheese. Delicate sandwiches, homemade pastries, scones and delicious jams are all made by our Pastry Chef. 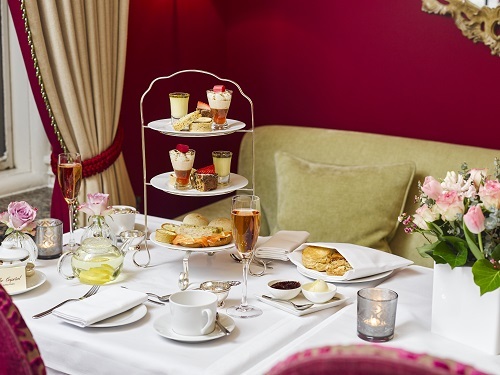 Afternoon Tea is accompanied with a seasonal cocktail and served in The Sitting Room of The Capital Hotel between 2:30pm and 5:30pm daily. Fancy yourself a bartender? Spend an hour with our head bartender learning the tricks of the trade. Put your skills to the test mixing four different seasonal cocktails. If you have a query or special request please call 020 7591 1200.